This method does take time to practice, but it is the quickest way to do eye liner. This is how I learnt to do eye liner. I found the easiest way to create the basic line shape to then customise, such as turn it into a cat eye, smudge to create a smoky look, is to create three dots, one on the inner corner, one on the middle, and one on the outer edge of your eye, and join the dots. 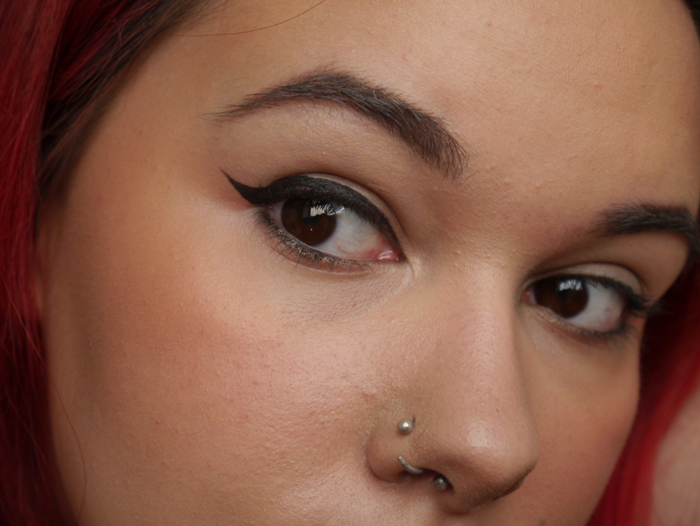 Or alternatively, you can start the opposite way which is how I do my eye liner now. 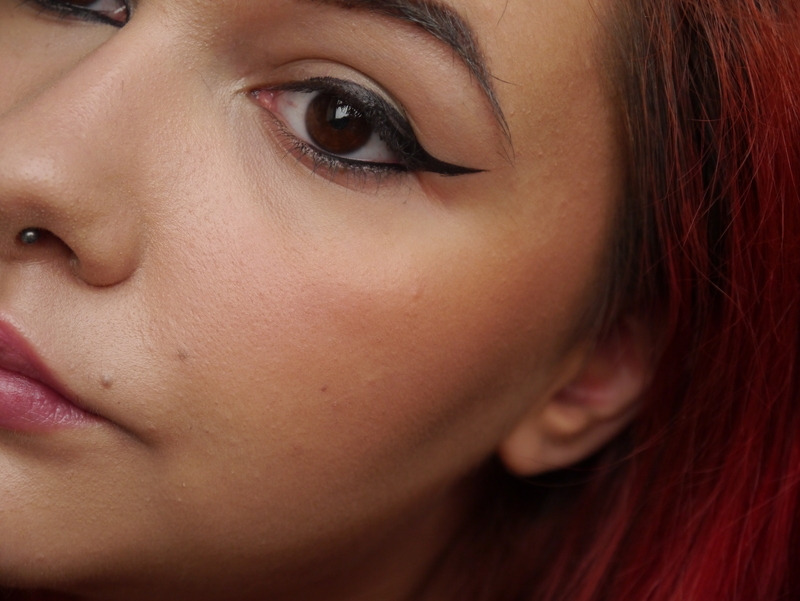 Firstly, I start off with the wing. I draw the line going to the angle that the tail of my brow ends. I’ve drawn a blue line to help show what I mean. Then, draw a line coming from that in a triangle and carefully connect that line to the middle of your lid following the natural curve of your eye. Keep following your lid until you get to a point you want to close your eyeliner off. remember to go thinner as you draw along. Fill in the liner you have drawn. This is when you can get a bit creative. If you want to make it into a cat eye you can do so by drawing a smaller triangle in the inner corner of your eye and connecting it to your lower lash line. Be sure to use a very thin brush, or a liner that dries quickly for this part as one blink or twitch can mess it all up. If you do any mistakes, you can conceal them up or use a cotton bud dipped in remover or primer to wipe the excess away and make edges sharper. Now you can add even more features to make it your own look. Below I have added a black kohl eyeliner to my waterline, and smudged it down to my lower lash line to add balance and make it look less harsh. 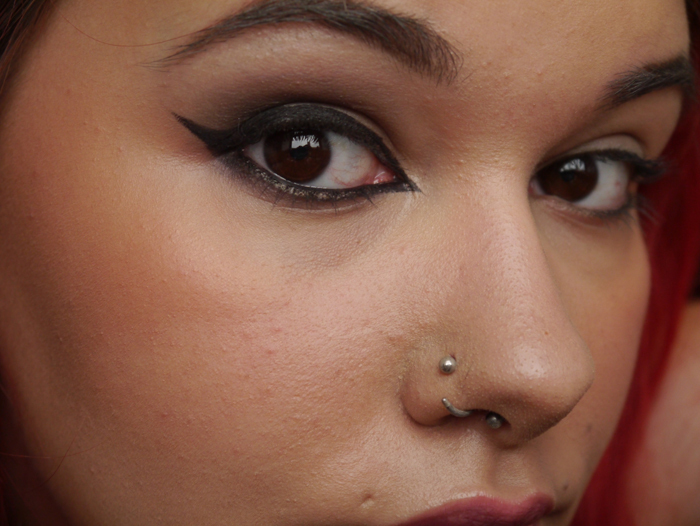 Now I added a dark grey eye shadow and a hint of black to add further balance to my upper lid. This softens the eye and completes the look. Tape allows you to create a defined line if you don’t have the steadiest of hands. The trickiest part of creating liner with tape is aligning and creating an even look on both sides, but after a few tries you’ll nail it. Again, practice is the key to creating any make up look. When using tape always make the tape less tacky by applying it to the back of your hand. This will make it easier to remove from your face and won’t remove any make up you have applied to your face this far. 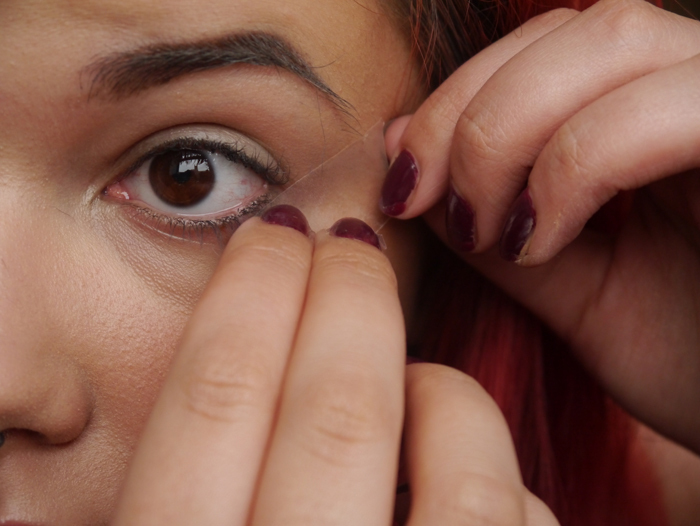 I have found looking down into a mirror then looking up and straight ahead pressing the tape to your face is the most successful method to applying the tape to your eye area. This stops any air pockets and applies it flat to the eye area. 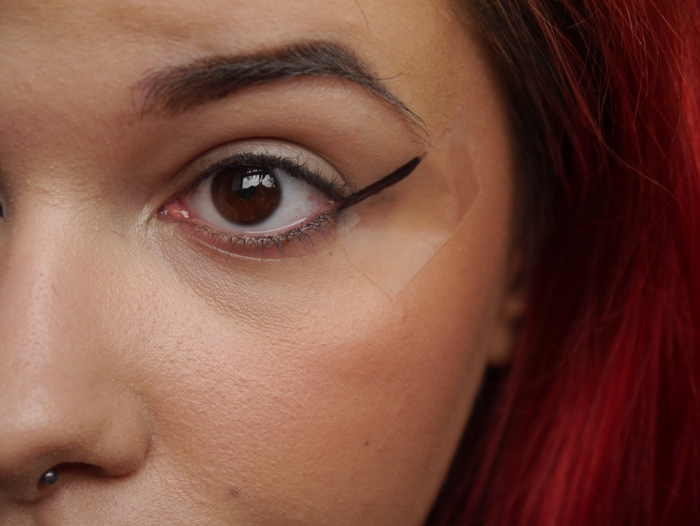 Aim for the tape to angle towards your eyebrow tail, just like the first method. After you’ve stuck the tape, you can start drawing. Now you can be as heavy handed as you want, and the line will be super straight. Gel is the most effective for this method. 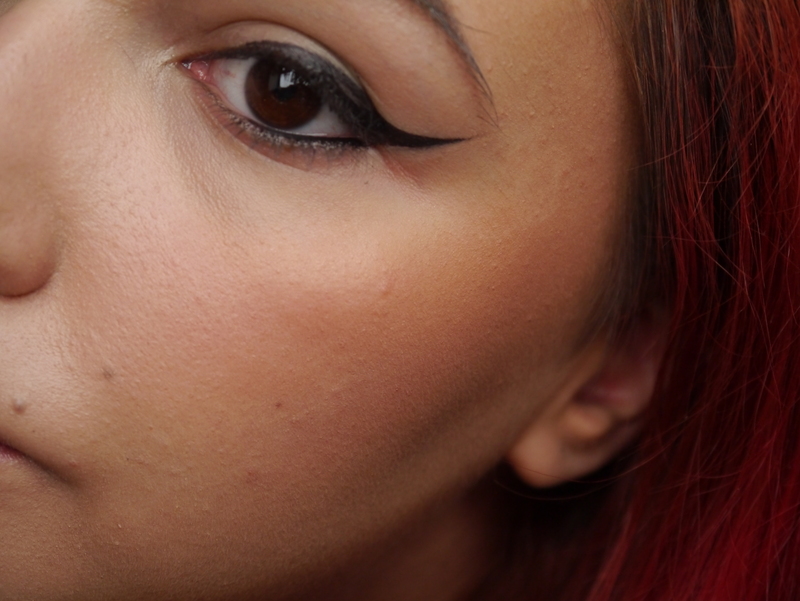 Liquid liner can be a little runny and messy if it touches the tape, and a kohl / pencil is too dense. Start off by drawing a single line, following the tape. 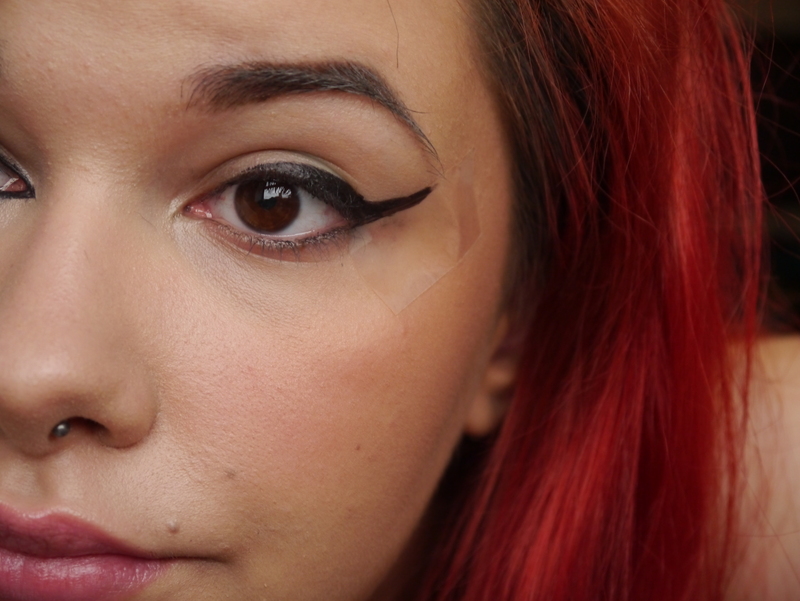 You can draw on the tape as well to be sure you have actually drawn on your skin. Remember to again angle it towards your brow. Once youve done that, draw a line curving around your natural eye shape until you get the look you desire. If you’re unsure on how to do that, look at method 1. If you’re happy with the line you’ve created, now it’s time to remove the tape. Look down into your mirror so it doesn’t snag. You may find it doesn’t make a precise line. Don’t panic! This can be easily rectified. 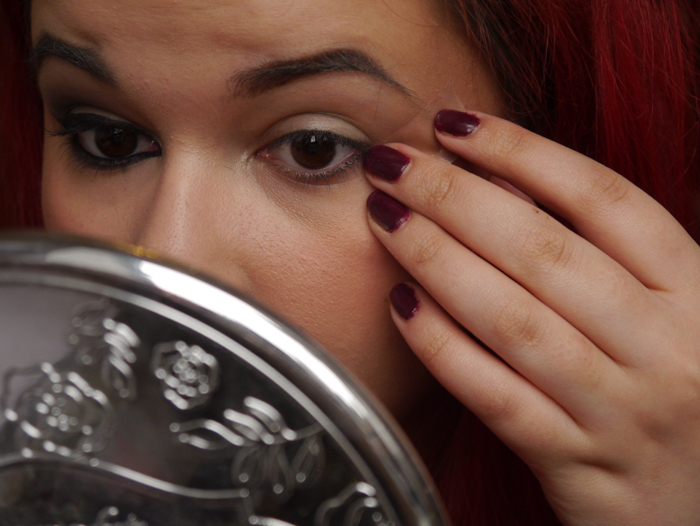 Take some primer or concealer and a small flat brush, and just sweep along the liner towards your brow. this will make it sharp again and elongate and sharpen the point of your liner. 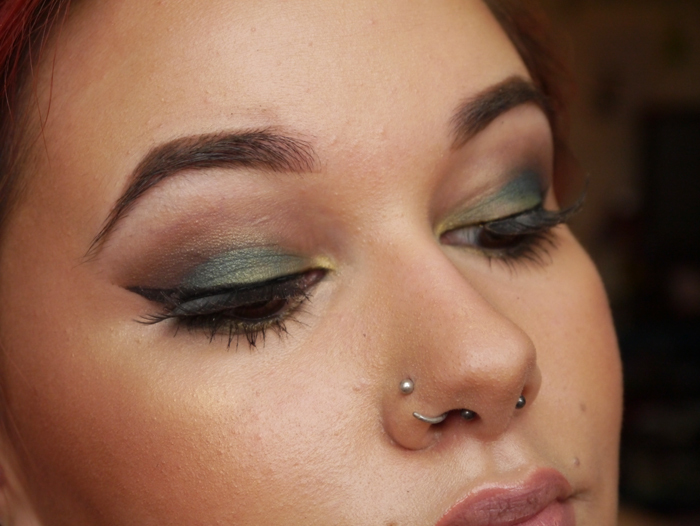 Add some liner to your top and lower lash line, and you’re done! Any questions please ask below, hopefully this has been helpful to you all. 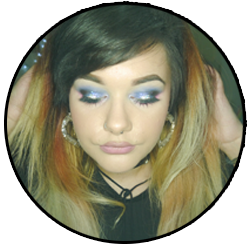 Posted on May 2, 2016 by sindyydollPosted in How To, Make Up LooksTagged bblog, bblogger, beauty blog, beauty blogger, cardiff beauty blogger, Cardiff blogger, cat eyeliner, cat liner, cat liner tutorial, Eye liner, eye liner tutorial, Eyeliner, eyeliner tutorial, gel liner tutorial, how to, how to do eyeliner, liner tutorial, tape eye tutorial, tape tutorial, UK Blogger. Previous Previous post: Lime Crime Shroom and Salem swatches and review! Next Next post: Follow the fun on my Instagram!